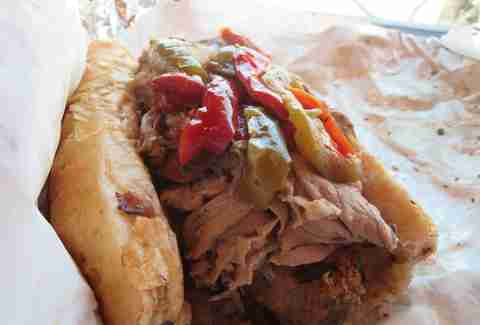 The Italian beef is an honest sandwich, in that there's really nowhere to hide when all you're working with is beef, gravy, peppers, and giardiniera. It’s either good, or it’s not. And when it's good, it's either good, or it's one of Chicago's 10 best that Thrillist power-ranks. These are those latter kind. 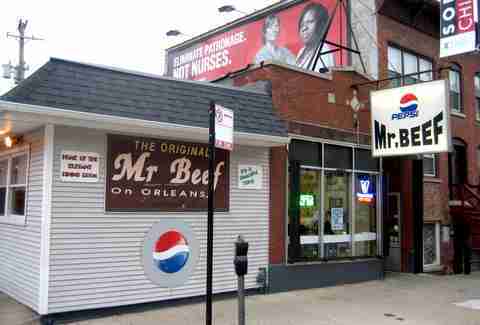 Despite Jay Leno waxing on about it, it’s mainly the location that gets this beef onto the list, as it's a rare, real Chicago joint in the Downtown area. 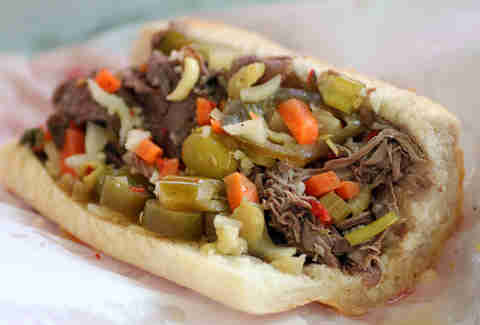 I always feel the beef is a bit under-seasoned, even after you scoop on plenty of giardiniera. But I give it an A for “I want to get my head out of the office for 20mins” Chicago jamoke atmosphere. 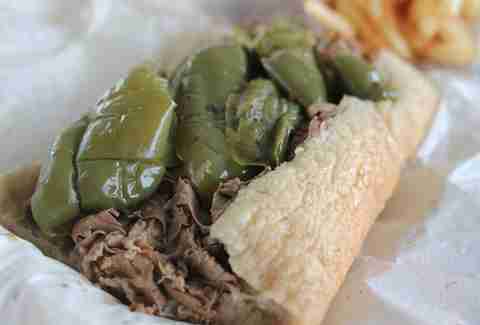 Trendy Wicker Park seems like the last place to look for an authentic Italian beef, unless it’s free-range and topped with Thai ginger remoulade. 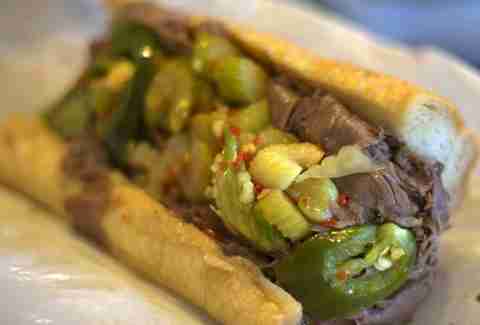 But Jay’s is an old-school beef mini-chain from the Northwest burbs that opened a location in a former coffee shop. 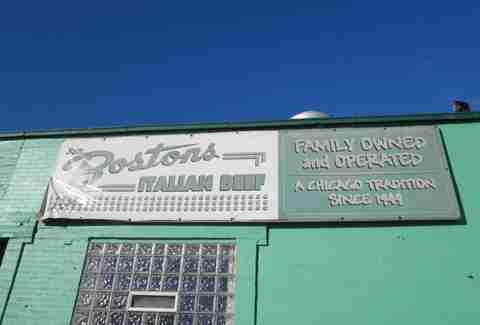 In the process, it accidentally created the world’s first hipster Italian beef spot. The meat and gravy are only on the upper-end of average, but the fresh, celery-heavy giardiniera is very good. Friendly, new owners run it now, but the beef recipe -- like the decor -- goes back to the crusty original owners in the '70s, and has lots of good spice to it. 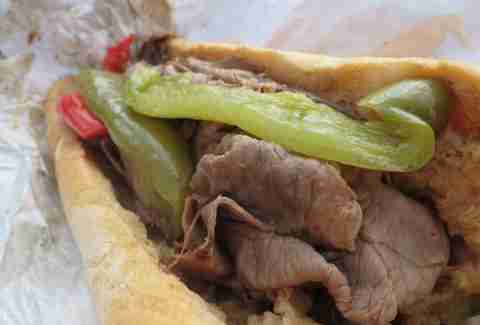 Added bonus: they have decent pizza if you’re, you know, dating somebody who doesn’t understand the majesty of Italian beef (that might be a red flag, actually). This place is so old-time-neighborhood, the last time I went here a woman in line asked me if I was a McNulty, like everybody naturally knows the McNultys around there. They’ve got all the cop-food South Side specialties; they also put cheese on a beef if you want, but we’ll ignore that. Anyway, pretty good beef, could use brighter seasoning, proud and dedicated staff. Tell ‘em McNulty sent ya. 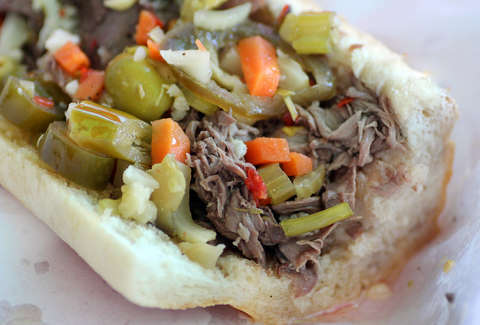 This Italian grocer is famous for its great, house-made giardiniera, so no surprise that it’s the star of the Italian beef (which seems to be a permanent special). What is a surprise is that the beef itself is so good -- its got a thicker cut of quality beef in a nicely-seasoned gravy, all on a sub roll that seems to hold up longer than the typical Gonnella roll... a wise choice in a place that only sells to-go. 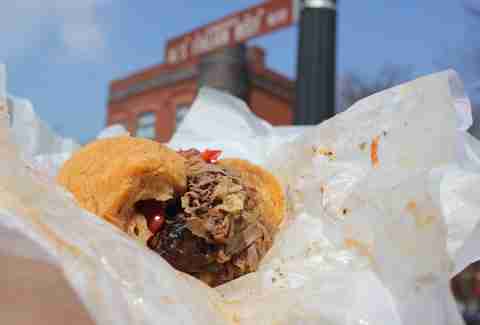 I seem to be the only one championing this obscure-yet-very-well-run Albany Park hot dog stand, but go try the beef here and tell me they’re not doing everything right. They've got quality beef and sausage, lots of bright spice flavor in the gravy, and peppers grilled by hand before they go on your sandwich. One sure sign that an Italian beef's above-average is if they have live charcoal burning for the sausages. Even if you don’t order a beef-sausage combo, the fact that they care enough to do it backyard-BBQ-style is bound to rub off in other areas. This family-run stand in South suburban has juicy, char-grilled sausages, but the beef is just as impressive, served in a rich, beef-soupy gravy. 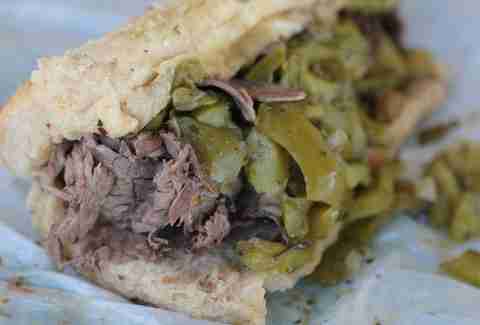 The Taylor Street original Al’s is the oldest and most famous Italian beef in town -- and surely the most expensive, too. But order a combo, and you won’t regret the price once you taste the combination of sausage (grilled over charcoal right there behind the cash register), and beef in Al’s unique, cinnamon-tinged, grease-unafraid gravy. The original is a different company from the franchises, and should be experienced on its own (preferably with an Italian lemonade from Mario’s across the street), but the franchises are pretty faithful to the original and serve in a pinch, too. Dating back to 1949, this beef stand has all the non-atmosphere of a factory lunchroom, which is basically what it is, since it's outlived the neighboring factories. The richly spiced, oregano-dominant broth and the thinly shaved beef seem to melt into the bread. Then put the carrot-/chili pepper-driven, almost Mexican-style giardinera on top, and you’ve got a symphony of cheap eats. 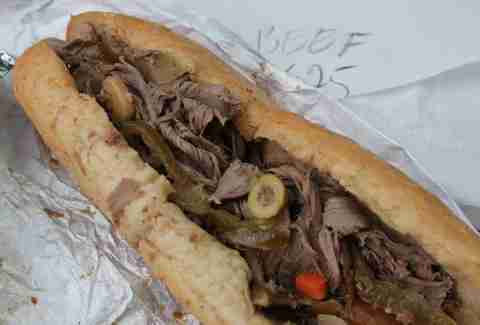 Johnnie’s regularly tops all the best Italian beef lists, and who am I to argue? The spice-rich, complex gravy is the gold standard, while the sausages (cooked over charcoal right there on the line) benefit from the rapid turnover of the line to guarantee you a juicy perfect one almost every time. Fries are forgettable, Italian ice a mild diversion, but the beef is as good as it gets.